It is an absolute pleasure to commute on Sydney's Metro Light Rail. It is my favourite public transport ever (after the Sydney Ferry of course which can't be beaten cruising under the Sydney Harbour Bridge and past the Opera House). The Metro Light Rail (or Tram) is environmentally friendly, quiet and efficient. 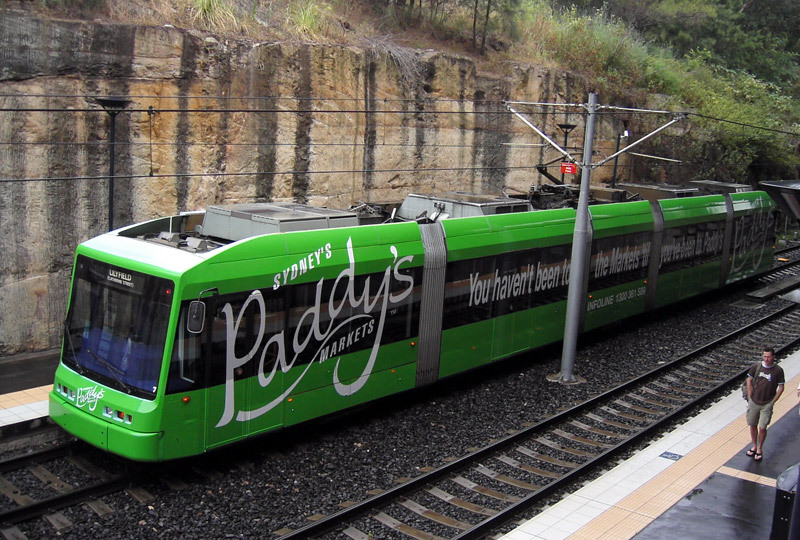 Trams are spotlessly clean, fitted with flat screen TV's and run between Lilyfield and Central Station, arriving at each stop every 10-15 minutes. Best of all, the $20 a week unlimited ticket is cheaper than any Sydney bus, train or ferry pass. Vive le Light Rail! Let's hope they extend the line to Dulwich Hill and the CBD quickly. It is also my favorite form of transport. Forgot to mention, they also have super friendly conductors. I've never had a grumpy one yet.